The Indian Prime Minister was at his combative best this week, setting out the battle lines for the Indian General Election next year, writes India Inc. Founder & CEO Manoj Ladwa. 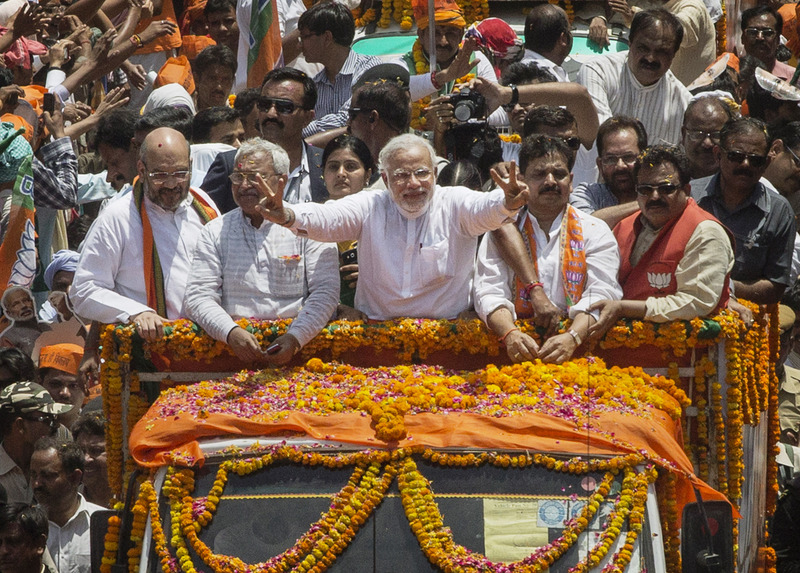 Indian Prime Minister Narendra Modi practically sounded the poll bugle for 2019 in two recent speeches in Parliament, taking the Opposition head on. It was a vintage combative Modi, who clearly exuded the confidence of a man in charge. He reminded Indians of the precarious state the previous Congress-led United Progressive Alliance (UPA) had left the economy in when it demitted office and how his government has nursed it back to health. I don’t want to get into a detailed analysis of his speech as many of you will already have seen it or read about it. Let us, instead, wind the clock back, take a step back in time, to May 2014 when Modi was swept by a popular landslide into the Prime Minister’s Office. What did the Indian economy look like then? The BRICS honeymoon – the celebration of India as one of five emerging economies that would lead the world’s economic growth – had ended a couple of years earlier. The optimism and the confidence of a newly empowered nation charting its own course to prosperity and taking its deserved place at the global high table had dissipated, if not vanished completely. 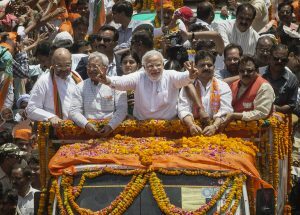 Modi became the leader of a much less distinguished five-nation grouping – the so-called Fragile Five – that the world expected could collapse very soon. Within the country, savings were down, investments were down, confidence was down and optimism had vanished. The banking sector, which still today remains in a fragile state, saddled with a mountain of bad debts, seemed in decent health then, but as Modi’s term progressed, the bandages that had kept the red ink from showing began to come off, at the joint initiative of the government and the Reserve Bank of India (RBI), the country’s central bank. The Congress era had been marked by a series of massive, sometimes multi-hundred-billion-dollar corruption scandals in the allocation of telecom spectrum to private companies, the allocation of coal mines to cronies of the top Congress leadership and in the allocation of contracts for construction of infrastructure for the Commonwealth Games held in New Delhi. But first aid, financial jugglery and dodgy accounting had kept the biggest scandal of them all from coming to light. The ticking time bomb planted during the latter years of the Congress regime burst when the RBI and the Modi government, working in tandem, decided to take a closer look at the functioning of India’s public sector banks. The skeletons kept tumbling out; bank after public sector bank was found to be sitting on loans that had been granted, not after proper due diligence but for reasons that flew in the face of prudent lending practices. It was shocking. The trail of malfeasance seemed to lead back all the way to the top levels of the previous regime. Crony capitalism, it became clear to everyone, had been institutionalised and merit given the short shrift. Those of you who regularly follow political and economic developments in India will know that very early on, the Modi government had hit hard at the base of crony capitalism by mandating that all natural resources, from spectrum and coal, which the UPA regime had gifted its favoured businessmen, to every other mineral like iron ore, crude and all other minerals would, henceforth, be allocated via open e-auctions only. Then, the Modi regime went one step further and passed the Insolvency and Bankruptcy Code (IBC). Almost overnight, some of India’s leading business houses – Essar Group, Bhushan Steel, Jaypee Group and several others – found themselves ousted from the control of their flagship companies. The era when businessmen could avail of public loans, misuse them, run up bad debts and then have them written off by friendly politicians only to start the process all over again had clearly ended. The Modi government had struck at the roots of crony capitalism in India and lots of influential people were getting badly hurt and signalled that the term ‘business-as-usual’ would never mean the same thing again. Since every action begets an equal and opposite reaction, I expect a backlash to this cleaning of the Augean stables. But Modi’s political instincts, widely acknowledged and respected even by his fiercest rivals, seem to be alive and kicking. Acknowledging that rural India is, indeed, facing distress – following two failed and one moderate Monsoon(s) during his four-year reign – he has focused the spotlight clearly on mitigating and ameliorating the difficulties faced by farmers and others dependent on the agricultural value chain. In this year’s Budget, his government has resisted temptations to focus only on the BJP’s core strong middle-class constituency, which voted en bloc for the Prime Minister since 2014, to make more resources available for the farming and rural sectors. I won’t get into details here, but this shows the Prime Minister’s confidence that the major structural reforms that his government has undertaken will work and ultimately deliver for the aspirations of the middle. Careful nurturing of the economy over the last four years has restored its health and guided it to the point from where it can now aspire for a much higher trajectory. I don’t know whether that sharp uptick in growth will happen in the next quarter or the one after that or even later, but all neutral observers, such as the IMF, the World Bank and rating agency Moody’s, which raised India’s sovereign rating recently, are confident that India’s growth rate next year will be considerably higher than this year’s. And that gives reason for more optimism. Meanwhile, there’s another issue I want to address. There seems to be a concerted attempt in some quarters in India and outside to paint a gloomy and pessimistic picture of the country’s economy and, by extension, pin the blame of alleged mismanagement by the Modi government. Just as a certain class of journalists don’t let facts get in the way of a good story, this lot, too, uses truths, half-truths and statistics to “prove their point”. An article in an internationally respected publication recently tried to do just that and while some of the arguments are valid, the conclusion that India is a market of hype where multinationals will have to keep waiting for eternity for growth and profits is clearly misinformed. I have carefully refrained from using the word “motivated” out of respect for that publication. But just to set the record straight, let me say that even if the oft-touted figure of a 300-million-strong middle-class is off the mark, the consuming class in India is at least half that number and rising rapidly. That’s more than European countries. Then, Unilever’s sales graph in India, the growth of airline passenger traffic and the country’s drive past Germany as the world’s fourth-largest automobile market, among many other metrics, paint a credible picture of burgeoning middle-class consumption patterns. Trying to paint the opposite picture is, in my opinion, a leap of bad faith. Also, trying to draw conclusions about the Indian market from the sales of Apple products and dollar-denominated sales growth of MNCs in India is hardly the right way to gauge a complex market like India. The unidimensional analysis featured in the article is geared towards drawing only one conclusion. The Opposition parties in India, it appears, aren’t the only ones trying to spread pessimism about India.